If you would like to explore your genetic health and wellness, as well as other traits influenced by your DNA, you may want to know whether Helix or Pathway Genomics is a more suitable choice for you. While they are both good companies with stellar reputations, they do not offer the same tests or health reports. When choosing a DNA testing company, it is important to clearly define what you are looking for and choose accordingly. In the table below, you can compare these two DNA testing providers, viewing their offers side by side. 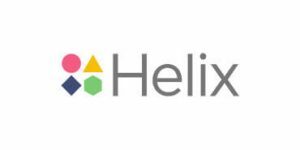 This can help you easily and quickly decide whether Helix or Pathway Genomics meets your expectations and delivers the data you are interested in. Pathway Genomics offers a rich choice of DNA tests, combining the achievements of personalized medicine and genetic science. Its motto is to make DNA testing available and affordable for everyone.